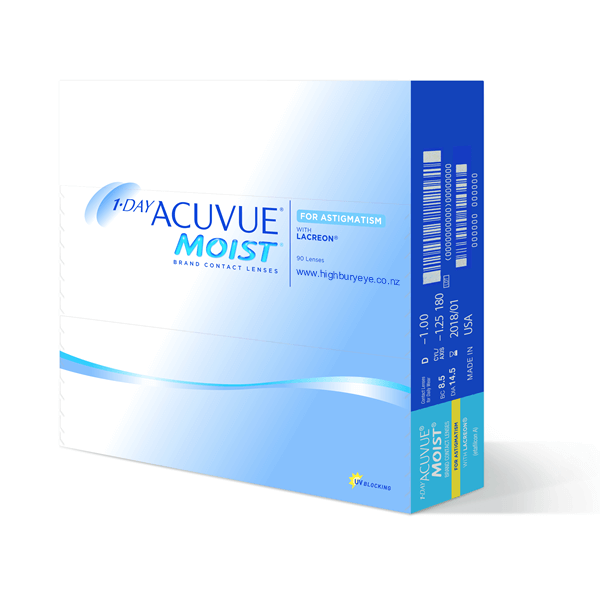 1•DAY ACUVUE Moist for Astigmatism contact lenses offer the healthiest, most convenient way to wear contact lenses. No solutions, no lens case, no maintenance! Just wear them once and throw them away. 1•DAY ACUVUE Moist for Astigmatism contact lenses also contain a UV-Blocker to help protect your eyes.